Dr. Haber is a scientific an NSERC Industrial Research Chair at the University of British Columbia. Eldad is working in the field of computational inverse problems with applications to geosciences and medical imaging. Over the last 20 years, Eldad has written various commercial software packages that have been widely adopted by industry. Dr. Haber has written or co-authored over 150 peer reviewed publications on computational problems and is a U.S. Department of Energy Career Award recipient. After completing his Ph.D, he spent several years as a research scientist with Schlumberger and nine years at Emory University in Atlanta at the Department of Mathematics and Computer Science. 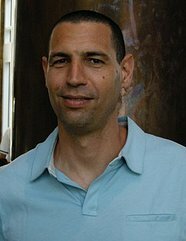 In 2011, Eldad co-founded Computational Geosciences Inc.